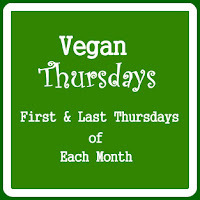 Hi dear friends, again we joining here for VEGAN THURSDAY (VT). 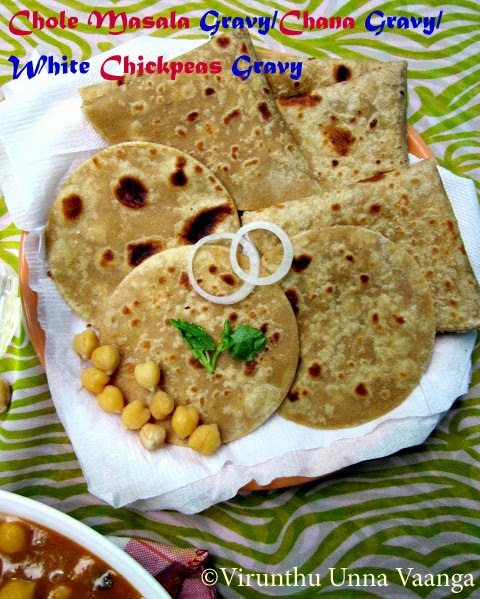 Chickpeas are a helpful source of zinc, folate and protein. Chickpeas are low in fat and most of it is polyunsaturated. 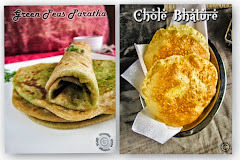 It’s very high in dietary fibre, so it may helps to weight loss. 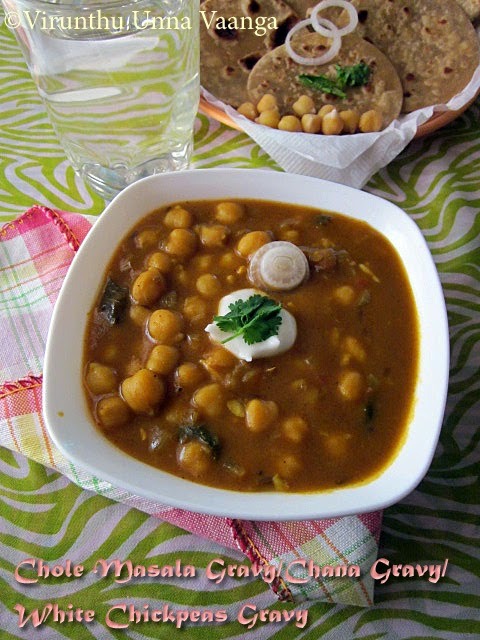 Chickpeas help promote a healthy intestine. It will reduce the cholesterol level. It’s rich source of magnesium, which assures the cardiovascular health of a person. 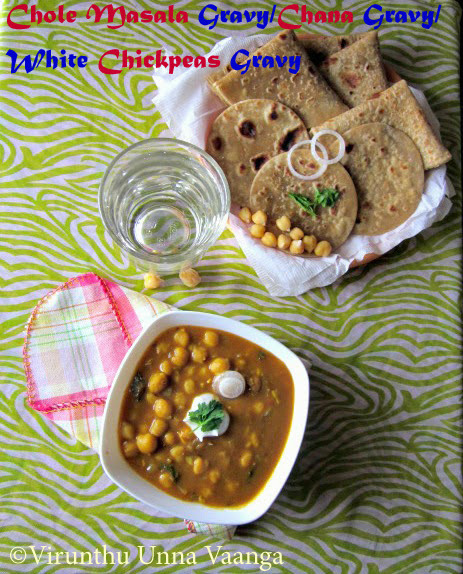 Chickpeas contain phytochemicals, known as saponins, which can act like antioxidants. Heat oil in a pan adds cinnamon stick, cloves and green cardamom (Don’t put unopened cardamom it will burst so open the shell and put it in oil), and cumin seeds and waits it for splutter. Sauté garlic for 1 minute then adds onion and sautés it till it turns transparent. Add turmeric, red chilli powder, coriander powder, garam masala and salt to it and sauté it for 5 minutes. Now pour tomato puree and fry till the oil oozes out. Add boiled chickpeas sauté it and add some water and cover the lid. Let it boil for 5 minutes. 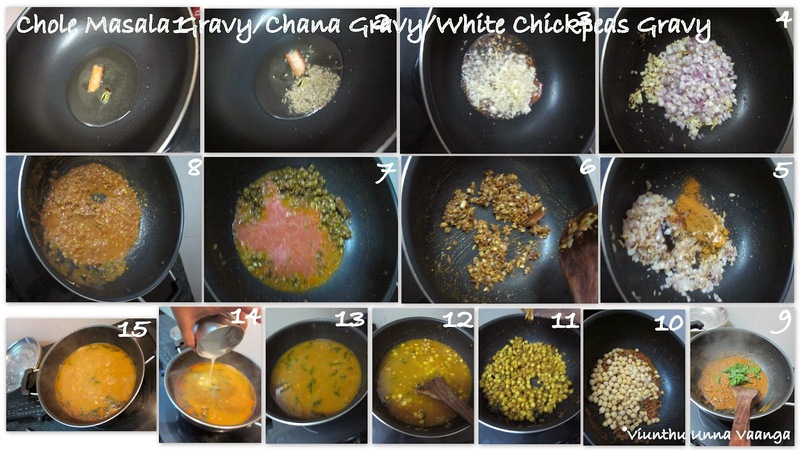 Now add rice cream and cook it for 2 minutes to thicken the gravy. Spread the coriander leaves and switch off the flame. 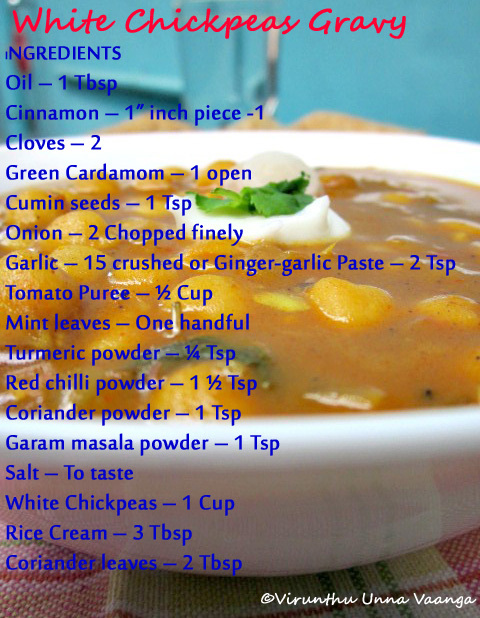 You can add channa masala powder instead of garam masala powder. 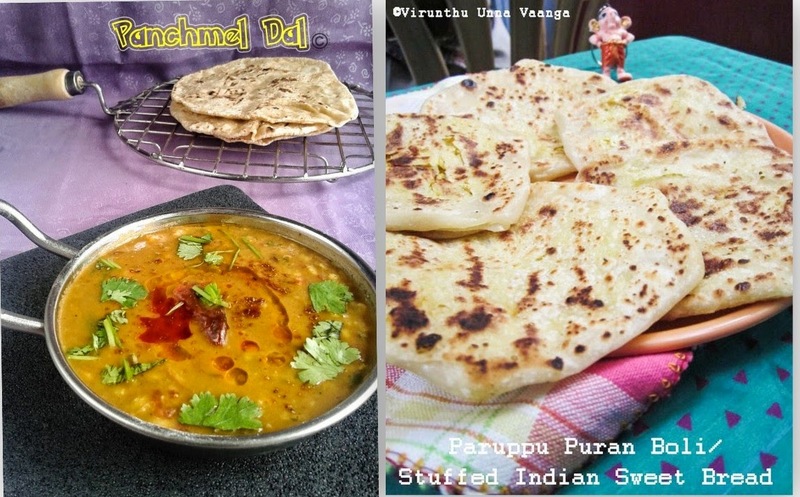 You can add milk cream or thick coconut milk or corn flour paste or chickpeas paste to it instead of rice cream. 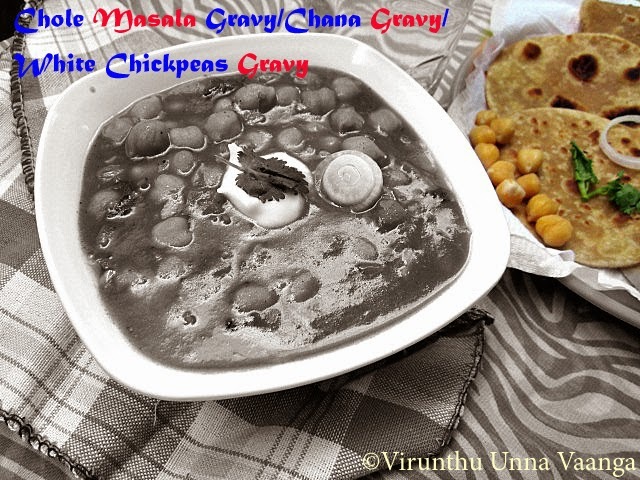 nice idea of adding rice cream as thickener.The gravy looks super. 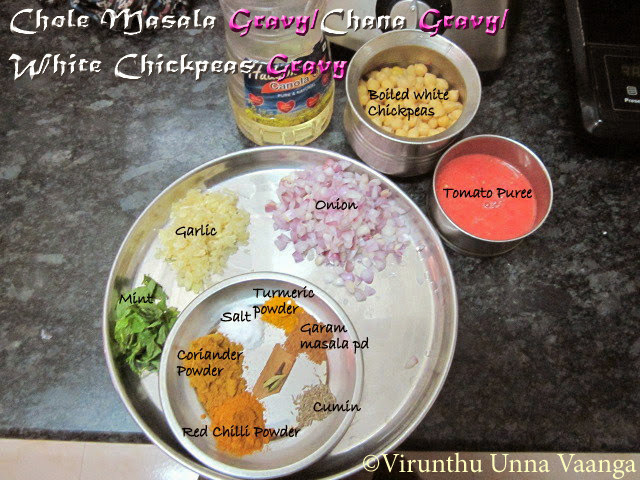 Delicious chana masala Viji dear. Loved its colour and texture. oh my!this looks so delicious! 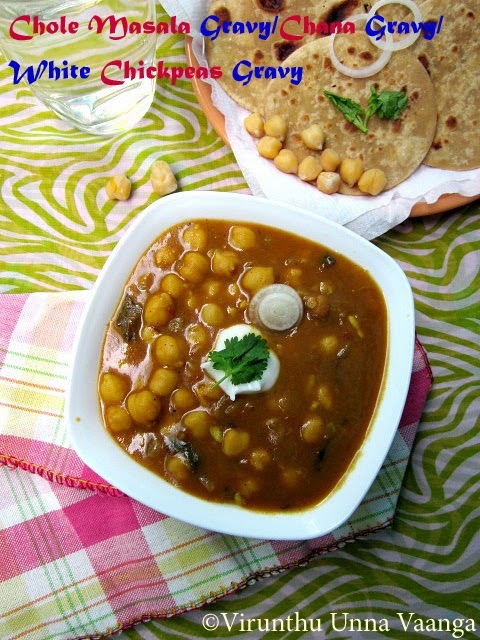 Love Chole in any form ! Looks so yummy ! that is heavenly!!! 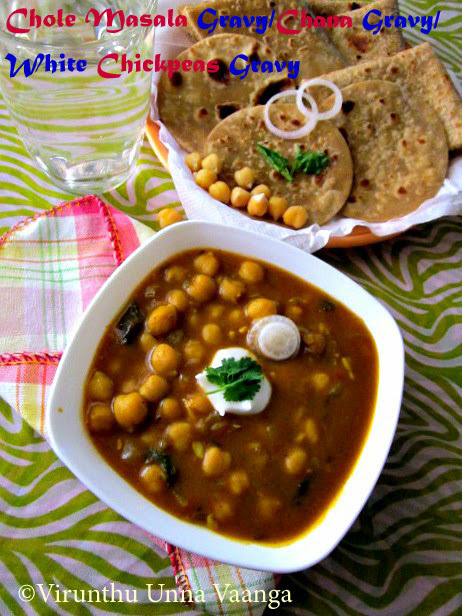 love those delicious and very healthy chole.. and the rotis are looking PERFECT!!! Wow thick and creamy gravy! 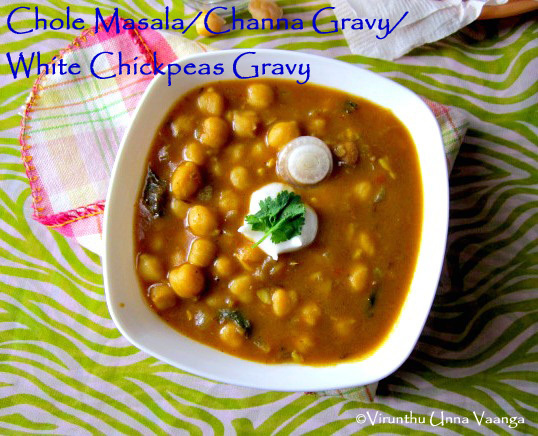 Spicy and yummy chickpeas gravy. 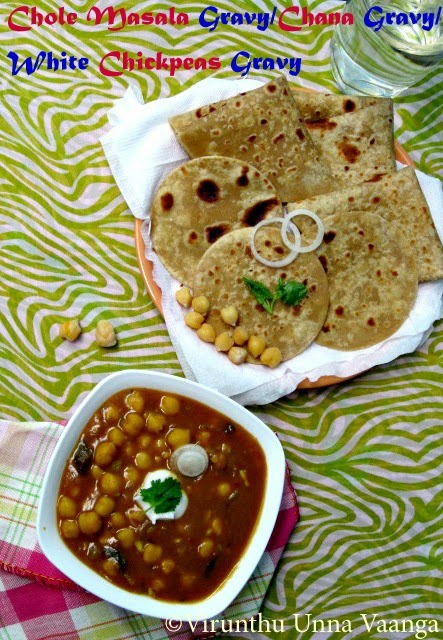 Chappathi and channa masala both makes a wonderful,fingerlicking..
one of my fav masala,looks so tempting viji!! My all time fav.. you made it perfect! !Nice pics.